You live in a world driven by technology. People can survive without ever leaving their homes. While buying a vehicle is a moot point if you never leave your house, the point remains valid that you don’t have to leave your home to purchase a vehicle. You can negotiate the pricing options of the Nissan Versa you want to drive around Delray Beach, FL, through email or over the phone. 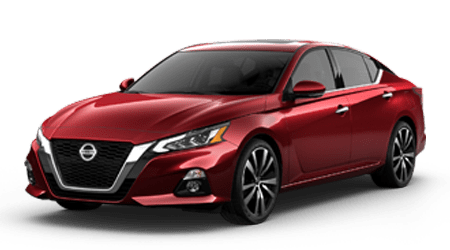 Before you learn the basics of how to work out a deal over the phone or through email for the best pricing on a Nissan Versa, it helps to decide which one of these methods is the best for you. Buying a vehicle from the comfort of your own home in Delray Beach, FL, is convenient. If you have a good idea regarding what type of vehicle you want, this is a great way to save time. However, if you are not sure if you want a Versa or a different vehicle under the Nissan umbrella, you need to visit a dealer. It’s important to take vehicles for test drives before you sell yourself on them. Email is an ideal choice for someone who keeps a busy schedule and cannot find time to make it to a Delray Beach, FL, dealership during normal business hours. Email is also ideal for someone who is uncomfortable speaking to people. Keep in mind that emailing a dealership takes longer, so don’t expect to have a new car by the end of the day. The phone is a happy medium between going to the dealership and sending an email. For many shoppers, negotiating car pricing over the phone is a fool-proof way to beat the crowd, avoid pushy salespeople, and keep their sanity intact. Before starting negotiations over the phone, first, ask if the Nissan Versa you want is actually there to save time. Regardless of which method you decide is right for you, there are a few tips to remember when negotiating the pricing of a Nissan Versa. First, know what you want beforehand. If you know what year you want and what, if any, upgrades you want, you can have a better idea of a base price before you even speak with a salesperson. Also remember to stay firm. If the price a salesperson offers you isn’t within your budget, don’t be afraid to walk out and go somewhere else. At the end of the day, you’ll be the one paying off the car. Visit Performance Nissan near Delray Beach, FL, today to negotiate the pricing of a new Nissan Versa.